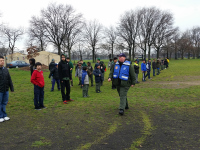 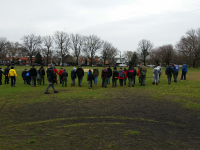 On April 1, 2016 the Boy Scouts of America held the 'Greater New York Scout Emergency Preparedness Day' at Marine Park in Brooklyn. 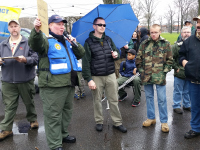 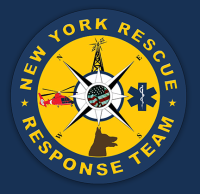 Captain Glen S. of NYRRT (who is also a long time leader in the BSA), trained over 55 scouts in a Search & Rescue drill. 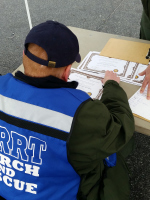 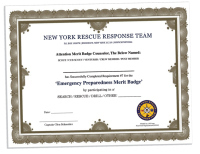 Those scouts recieved certificates from NYRRT that will help them earn their Emergency Preparedness Merit Badge. 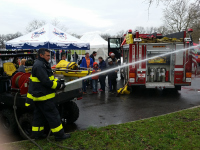 Among the large crowd of particpants and parents, were the FDNY, Gerritsen Beach Fire Department, Flatlands Volunteer Ambulance, NYC Office of Emergency Management and others. 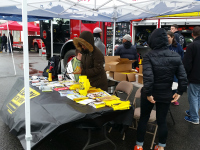 While it initially was a stormy morning, it turned out to be a great day--one that left many youth with a new and important life lesson.